People who don’t know me look at me pretty oddly when I’m crouched on the ground, sticking my camera as close to the base of a tree as I can, different angles, review, adjust. Luckily when I found these guys the people who came around DID know me – thanks for not thinking I’m a total nut-job Andrea & Morgan! You can see a larger version of this here. Posted on Friday, May 7th, 2010 at 9:41 pm. 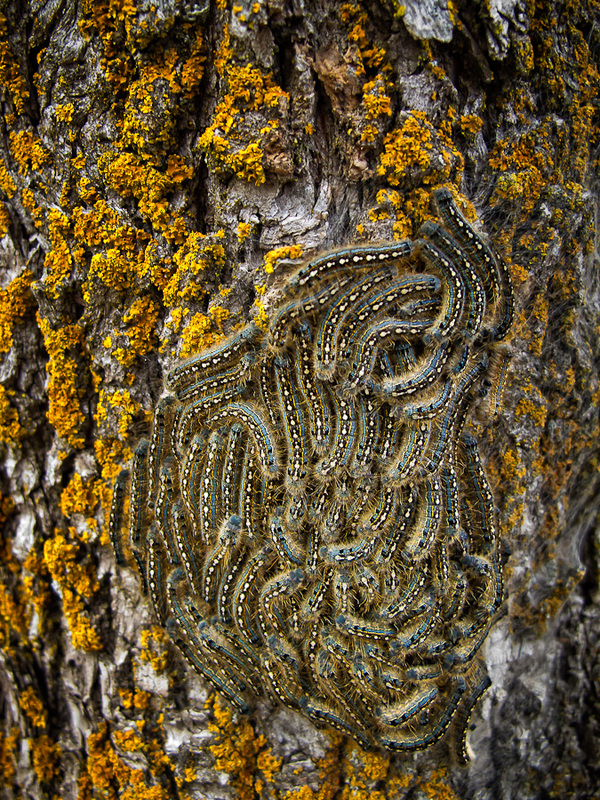 Filed under: Nature Tags: Caterpillars, Macro	RSS 2.0 feed. I love this image. Simultaneously beautiful for the colours and form, but creepy for that part of your brain that can't help but imagine all those squiggly little creepers crawling all over you.